Promoting a healthy lifestyle and fostering camaraderie amongst public service officers. Open to all Public Officers! 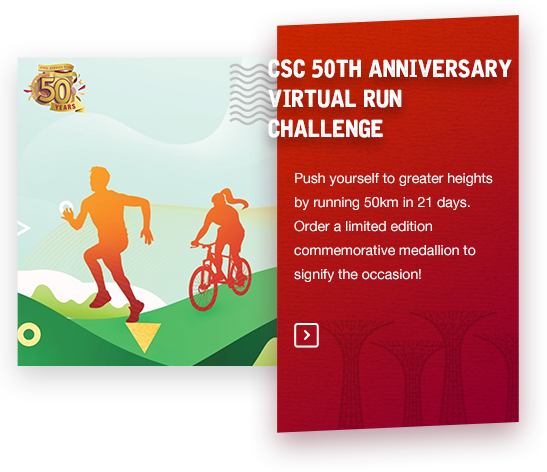 Take part in the coming CSC Run by the Bay. Open to all Public Officers! Form a team with your fellow colleagues and take part in the coming CSC Dragon Boat Race. Open to all Public Officers! Form a team with your fellow colleagues and take part in the coming Public Service Amazing Race. Open to all Public Officers & Families! 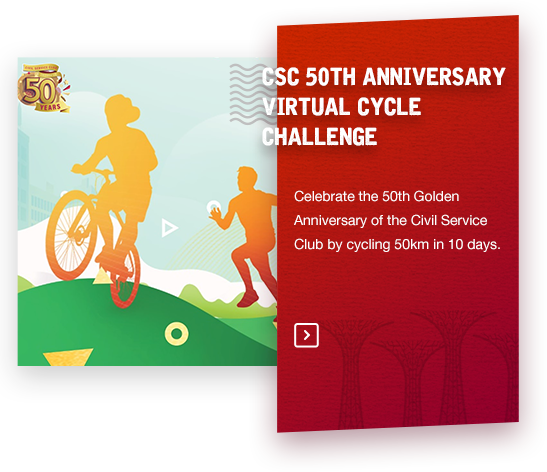 Take part in the coming CSC Cycle. Open to all Public Officers! Form a team with your fellow colleagues and take part in the coming Telematch. 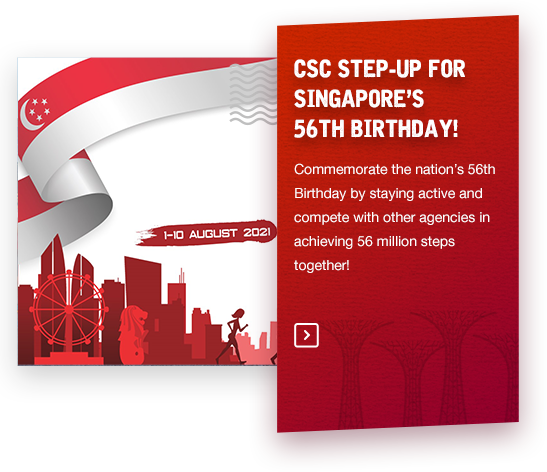 Welcome to a new series of Public Service STAR Games 2019!